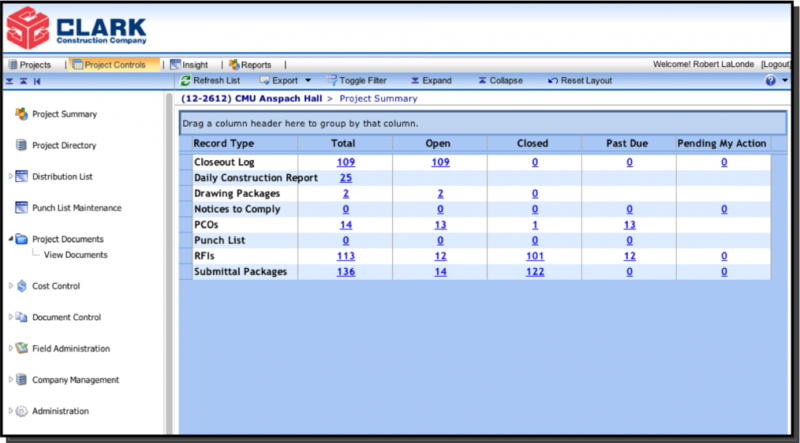 Clark Construction offers our proprietary ConnectTM project web portal, which is a web-based, program management software that allows all Project Team members instantaneous access to all documents. Project parameters such as RFI status, submittal process and status, drawing updates and issues, meeting minutes, photos, and daily reports are all accessible by the subcontractors, architects, engineers, consultants and owner representatives so that every project team member has up-to-the-minute project data available to them at the click of a mouse. At the Owner’s request we can also include a financial file (with password access) including budget, subcontractor cost status, potential change orders, etc. ConnectTM provides project status quickly and securely to project team members. Readily available up-to- date project information improves productivity, reduces approval times, and eliminates waste in the project delivery process. Clark’s ConnectTM project web portal provides this benefit while saving money associated with document mailing, shipping, and reproduction.